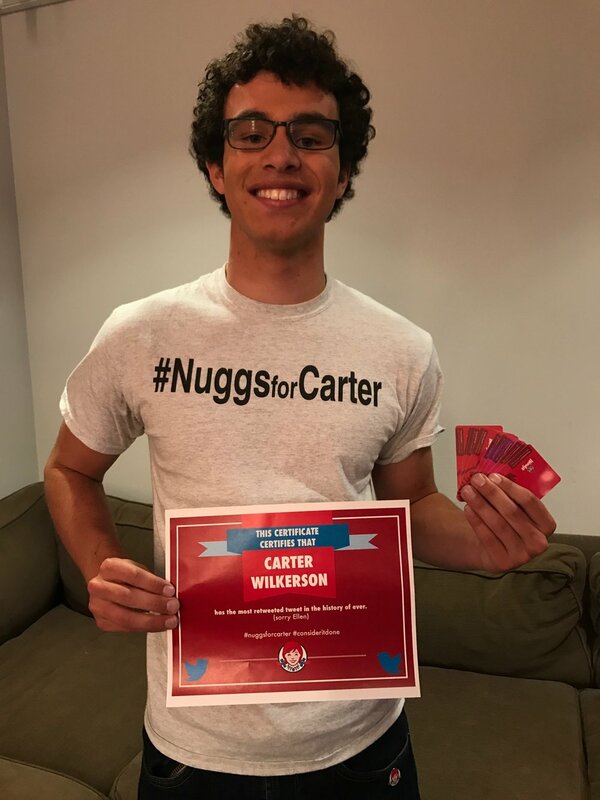 “To this day, I have trouble comprehending that I am "The Nugget Kid." It's weird to think that I hold a world record that so many celebrities and public figures have yet to beat. But my success wasn't my own doing, without the Twitter community retweeting and supporting me throughout the way, I wouldn't be where I am. Most importantly, I have to thank Wendy's for their support and their response. Without it I would just be a regular 17-year-old. Thank you Twitter, the community of Twitter, and Wendy's. I have had the most exciting year of my life and I am so grateful." – Carter Wilkerson.